MCLEZ online continuing legal education courses are for Washington State attorneys who want to make the most of their time and money. For as little as $19.99 per course, easily earn Washington CLE credit online through courses which have been produced in a variety of legal subjects that matter to you. Try a course for free before you make your purchase with our Free CLE program. To easily fulfill all of your allowable online CLE hours, see our Washington Bundles page under State CLE Bundles. 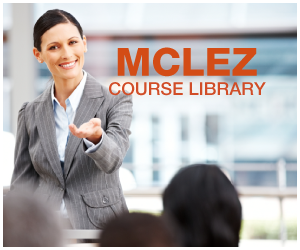 MCLEZ provides online continuing legal education programs which have been individually pre-approved for self-study credit by the Washington State Board of Mandatory Continuing Legal Education. To view a list of approved MCLEZ courses, visit the myWSBA website and search for MCLEZ as a sponsor, or call 800-945-9722.